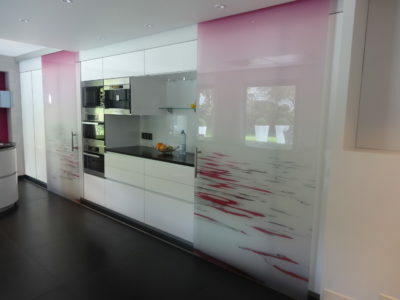 Home/ News/ Interior glass door: how to choose? Dividing rooms with glass allows you to bring more natural light, intimacy and acoustic comfort. 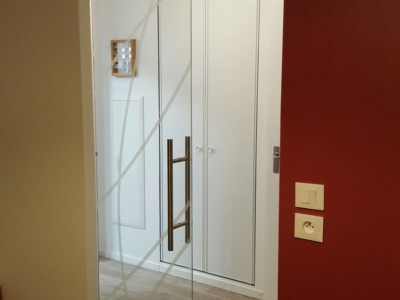 Having a glass door can separate areas without losing luminosity. 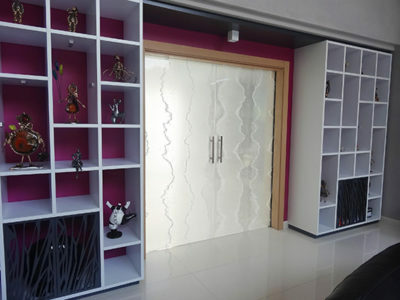 A glass door is both a functional element and also a full decorative piece of interior architectural. Righetti offers you a wide range of glasses to customize your home. 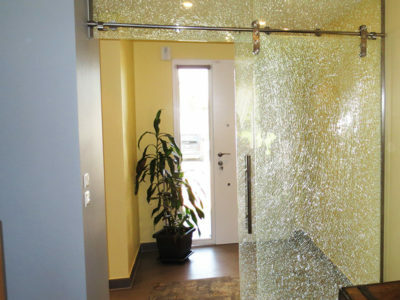 A Glass Door is made of laminated glass, it can be transparent, tinted or opal. Transparent glass is the best option in a living room, a kitchen or an office to limit noise nuisance while preserving a good luminosity. Opal glasses allow to let light through while preserving intimacy. These glasses are perfect for a bedroom or a bathroom. 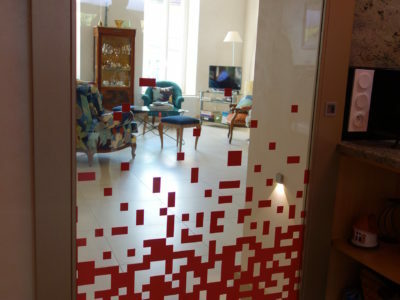 Lastly, decorative laminated glass can allow you to customize your door thanks to its decorative interlayers. 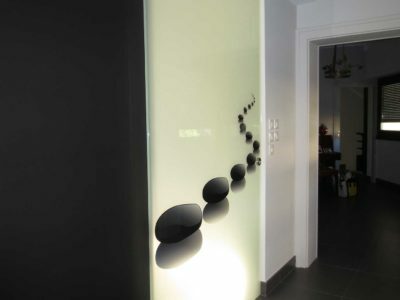 From crash glass, image, color, japanese paper, fabric, synthetic glass, LED light or opaque film, possibilities are endless. Discover all of our product ranges.